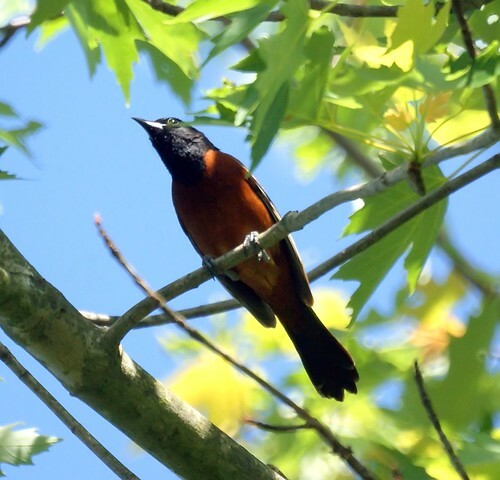 We took the boat out and encountered an Orchard Oriole high in a tree. 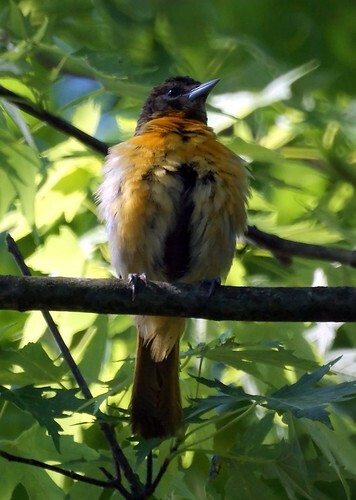 At first we thought it was a Robin but we checked with the binoculars and were happy to see this oriole. 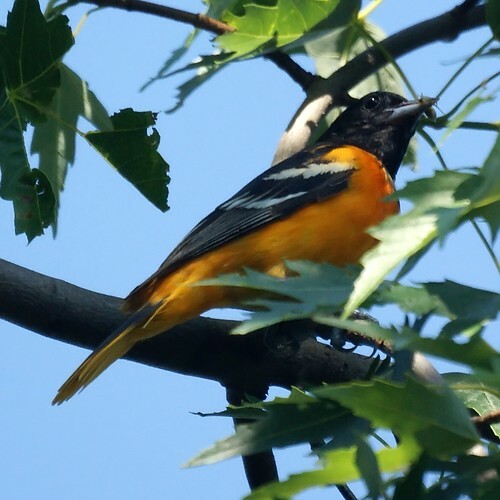 The Baltimore Oriole nesting pair continues in our yard. The female isn't out as often as the male. We are hoping for baby orioles soon. 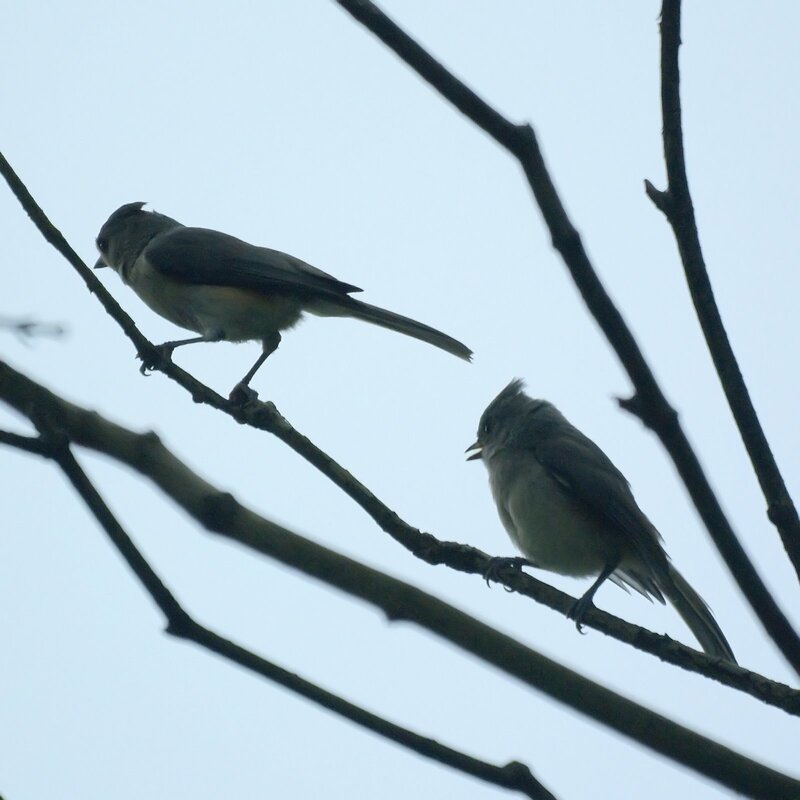 The family of tufted titmice continues in the yard as well.